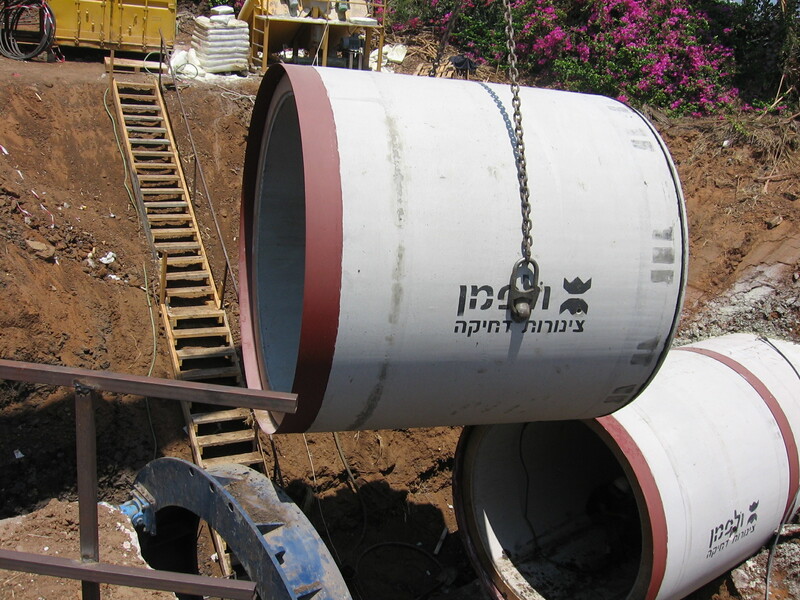 The main rectangular conduit was built in 2006 by Hod Hasharon municipality. 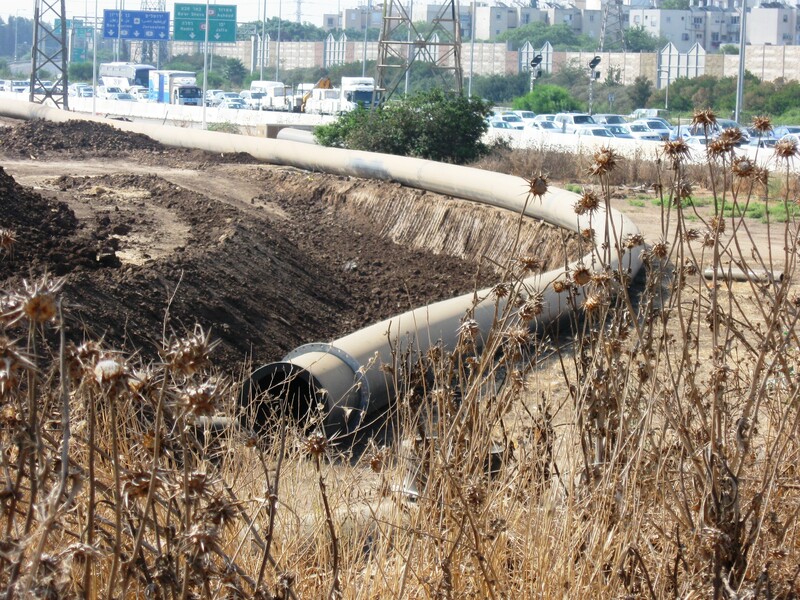 It is the main part of the east of Hod Hasharon main drainage system. BJIS provided the general and detailed design, and the general supervision on the site. The drainage basin of the project is 2.5Sq. Kilometers, and the maximum flow is 64,000m3/hr, which fits to 2% storm probability. The first stage of the project was building a 2Km long conduit at varied depths of 4-7m underground, with inside dimensions of 3x1.75 and 2.5x1.75m. The conduit's elements were made of prefabricated concrete, 2.5m long and 17ton each. Stage two of the project will contain conduit parts of 2x1.75m in dimensions, along 1.5km.